Published on Saturday, April 8, 2017. 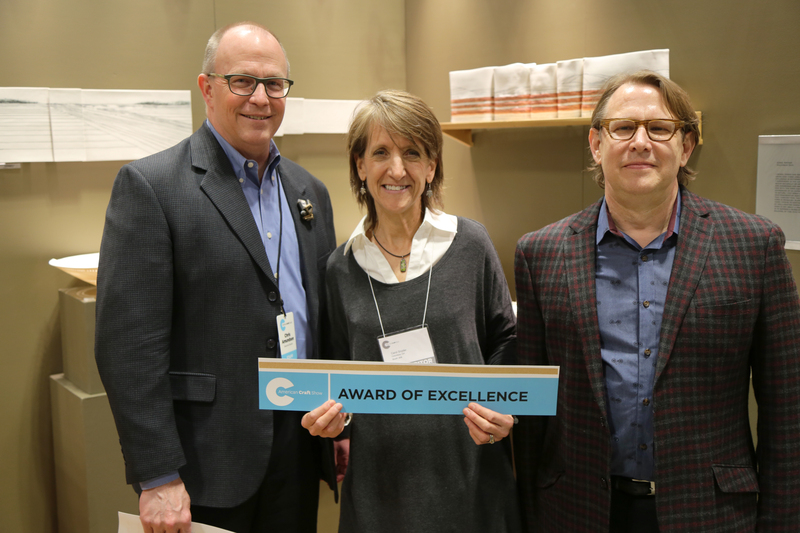 A tradition established at the start of the American Craft Shows, the Awards of Excellence recognize and celebrate show artists in the categories of overall work quality, booth design, and an emerging artist. 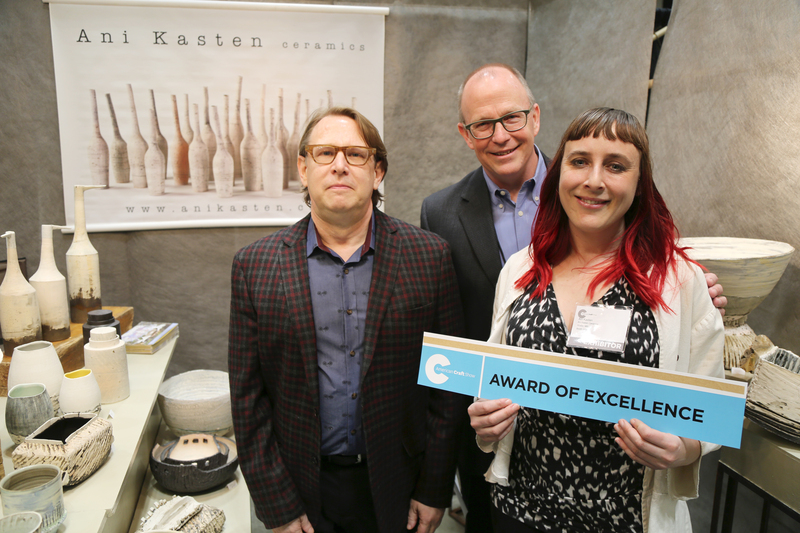 From a pool of more than 200 incredibly talented makers, five were chosen to be honored with awards at our 2017 American Craft Show in St. Paul. For quality of work, awards were given to ceramist Carol Snyder (booth 608), whose lovely porcelain vessels seem to glow with inner luminance; jewelry artist Seung-Hea Lee (booth 1005), whose work masterfully blends exemplary metalwork with delicate forms; and ceramist Ani Kasten (booth 910), whose earthy, rugged work speaks to the melding of the man-made and natural landscapes, cycles of change, and survival. 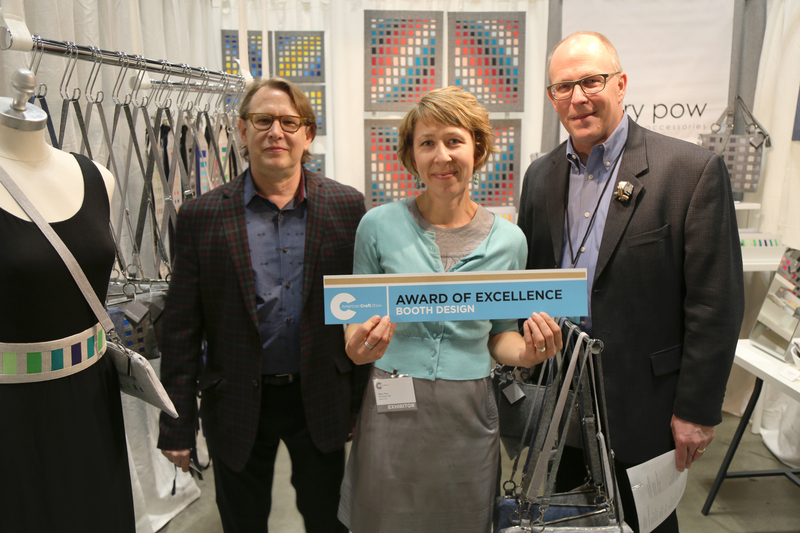 Taking home the award for booth design, which honors both quality of work and booth presentation, was textile artist Mary Pow (booth 510), whose display highlights the clean lines of her striking, color-block work. 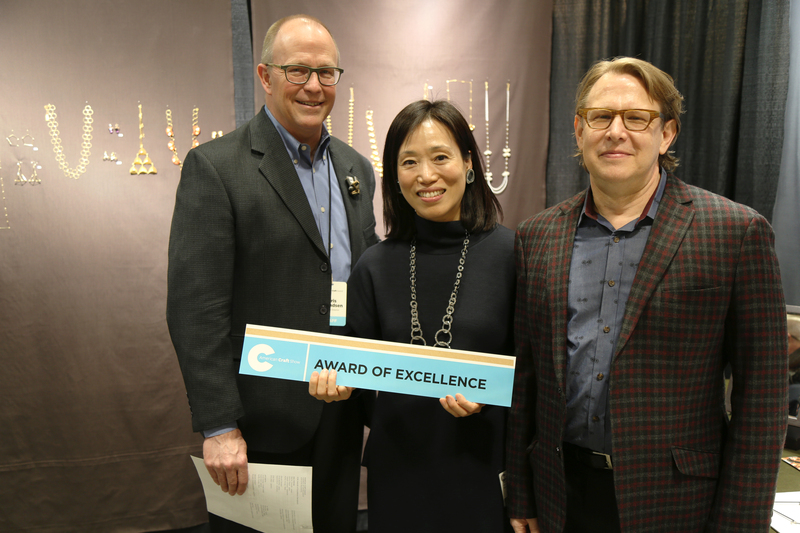 Jeweler and new St. Paul ACC show artist Emiko Shinozaki (booth 212-6) won the Award of Excellence for an emerging artist as part of our Hip Pop program. Her work combines her love of fashion with organic chemical structures to create stunning jewelry.